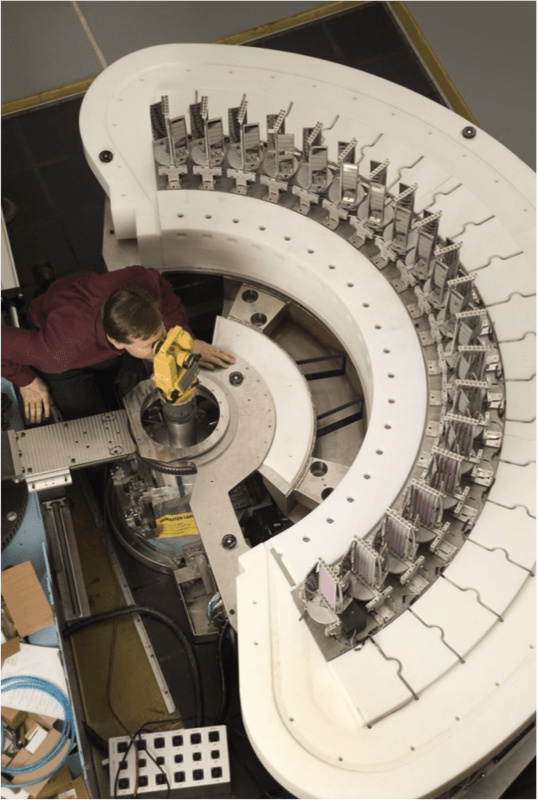 The Multi Axis Crystal Spectrometer at the NIST Center for Neutron Research is a third generation cold neutron spectrometer that provides ultra high sensitivity access to dynamic correlations in condensed matter on length scales from 0.1 nm to 50 nm and energy scales from 2.2 meV to 20 meV. 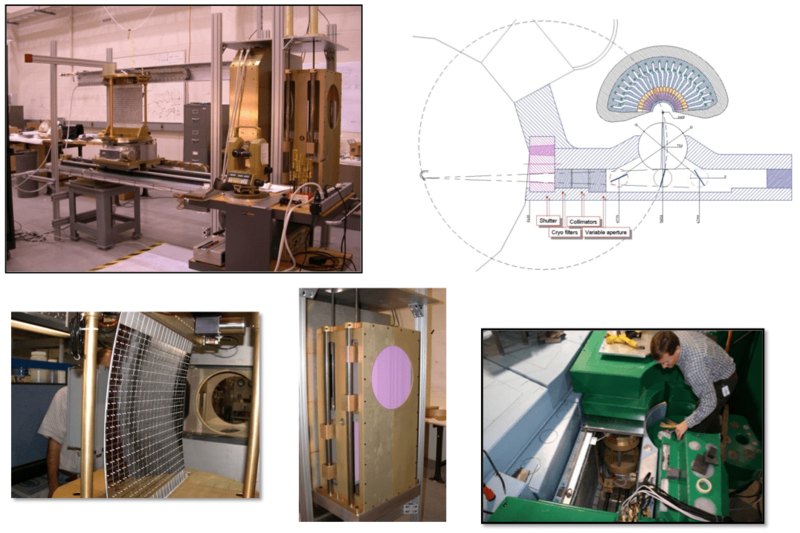 The project is funded jointly by the NIST Center for Neutron Research, the National Science Foundation, and the Johns Hopkins University.The instrument utilizes a unique vertical focusing element that enables active vertical and horizontal focusing with a large, 357-crystal (1428 cm2), array. The design significantly reduces the amount of structural material in the beam path as compared to similar instruments. Optical measurements verify the excellent focal performance of the device. Analytical and Monte Carlo simulations predict that, when mounted at the NIST cold-neutron source, the device should produce a monochromatic beam ((=0.2 meV) with flux J>108 n/cm2 s. The Multi Axis Crystal Spectrometer at the NIST Center for Neutron Research is a third generation cold neutron spectrometer that provides ultra high sensitivity access to dynamic correlations in condensed matter on length scales from 0.1 nm to 50 nm and energy scales from 2.2 meV to 20 meV. 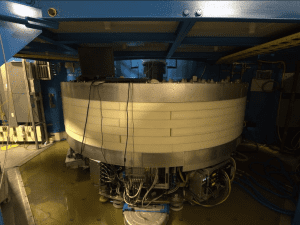 The project is funded jointly by the NIST Center for Neutron Research, the National Science Foundation, and the Johns Hopkins University.